Sodium bicarbonate has many uses. Medicinally, it reduces stomach acid and can be taken after meals as an antacid to prevent heartburn and indigestion. It's a fizzy tablet dissolved in water, commonly known as Alka Seltzer. In food, it's simply called baking soda and makes dough rise, soda fizzy and beans easier to digest. It does contain sodium, so if you are following a low sodium diet, you may need to limit the sodium bicarbonate in your diet. Baking soda is a leavening agent used to make dough rise. Baking soda is alkalizing, and when mixed with an acid, such as buttermilk, yogurt or sugar, carbon dioxide is formed. The carbon dioxide creates tiny bubbles which is why the dough rises. Although baked goods may not taste salty, a 4-inch whole grain bagel has more than 500mg of sodium, notes the Mayo Clinic. Soak beans overnight in a solution of 98 percent water 2 percent baking soda - you only need enough to cover the beans. The alkalizing effect of baking soda will soften the fiber in the beans and start to dissolve the protein, making the beans easier to digest after cooking. Do not cook the bean in the soaking water. Rinse the beans after soaking to remove excess sodium and cook in fresh water or stock. Sodium bicarbonate makes soda fizzy by producing carbon dioxide gas when mixed with an acid such as phosphoric acid or carbonic acid found in many colas. Most colas contain 35mg of sodium in an 8-oz serving, but few people only drink 8 ounces of soda. 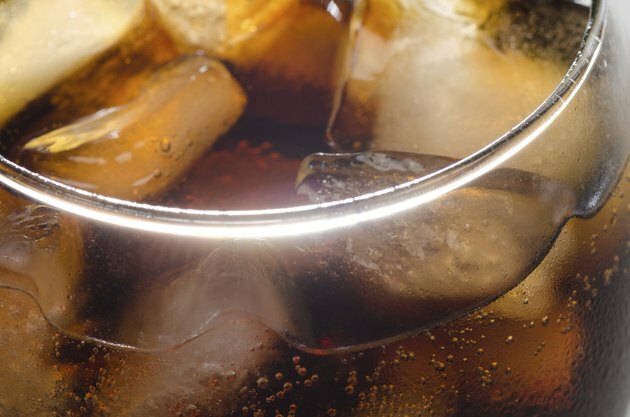 The average American drinks 50 gallons of soda per year, reports the California Center for Public Health Advocacy.